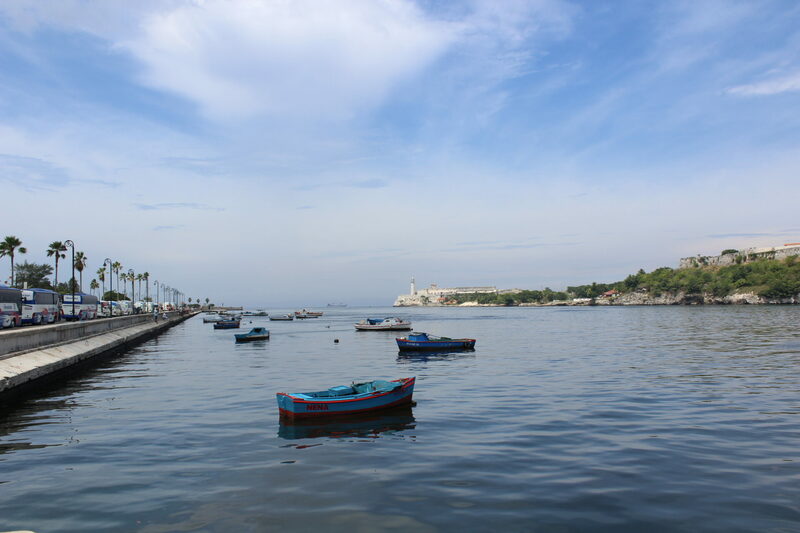 After we made our art purchases, we decided that we wouldn’t have time for the Hemingway Museum (located about 30 minutes outside of the city), and that we’d walk around a bit more and hit the Museum of the Revolution (Museo de la Revoluciòn) instead. We started out going back to the square we visited the previous night to get some good pictures of Spanish colonial architecture in the daylight. 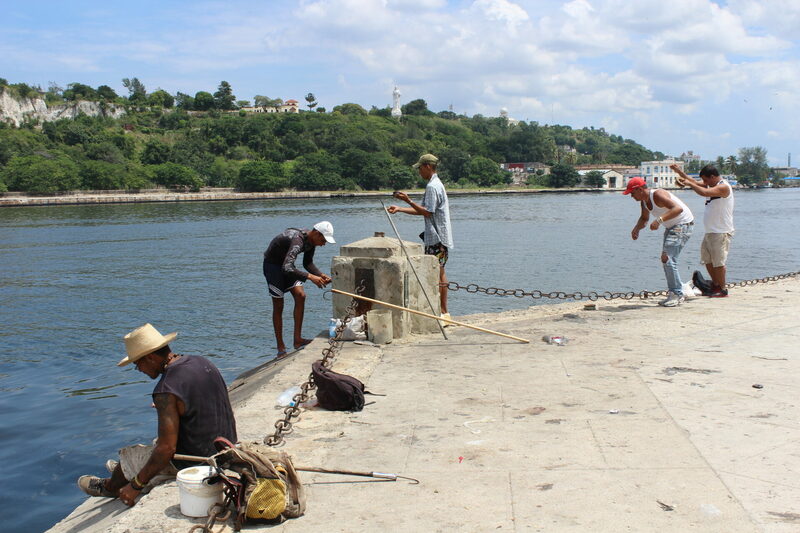 Then we strolled one last time along the most Eastern portion of the Malecòn, and saw some people fishing. 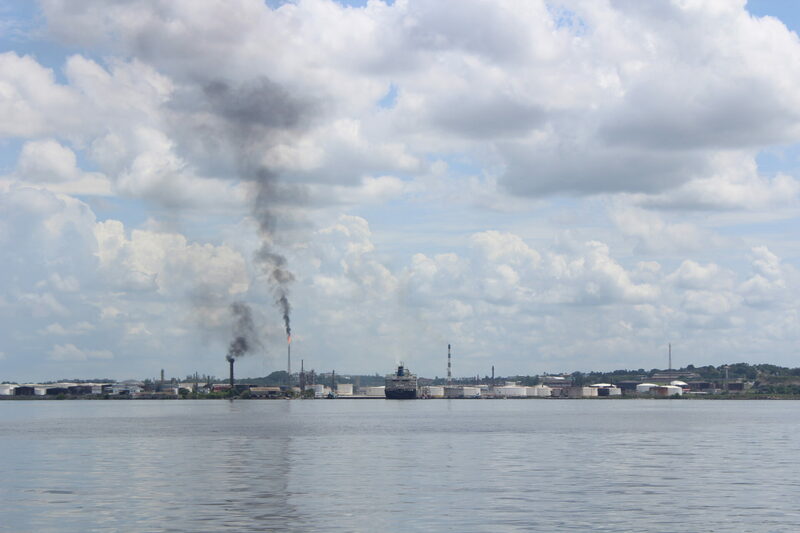 The only eyesore was the giant smoke stack in the distance. We went back to the Museum of the Revolution to complete our final mission. 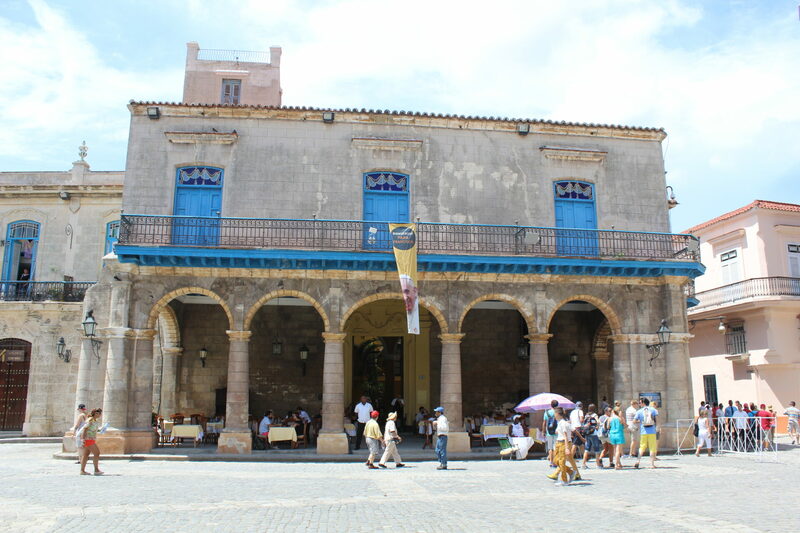 The Museum of the Revolution stood in the building that was the former Presidential Palace of previous Cuban presidents from Mario García Menocal to Fulgencio Batista. 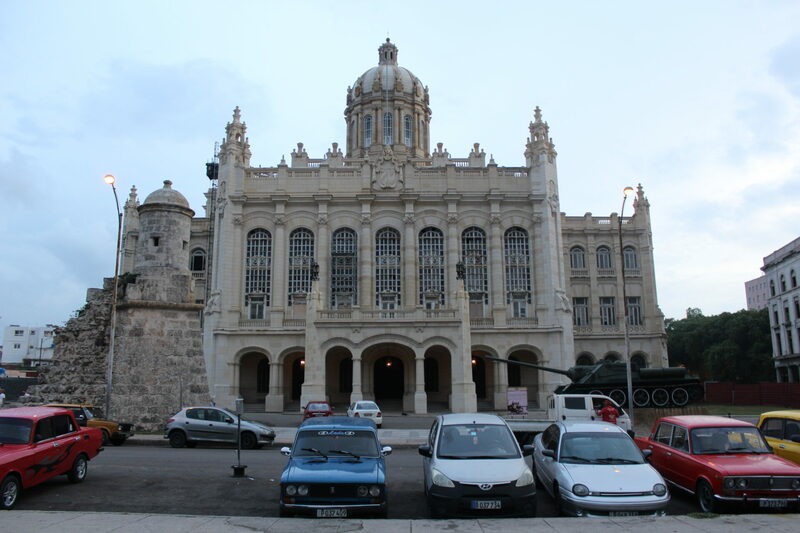 It became the Museum of the Revolution during the years following the Cuban revolution, when on March 13, 1957 a group of university students stormed the Presidential Palace with the aim of executing the dictator Fulgencio Batista. 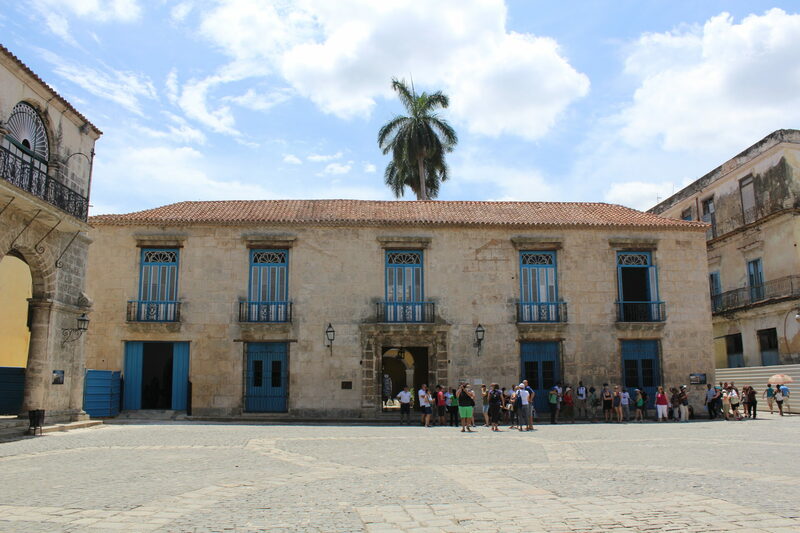 There were 4 floors of the palace, and only 3 were used for the Museum of the Revolution, with only half of each floor utilized for displays. The entry price was also quite hefty – 8 CUC per person or so. 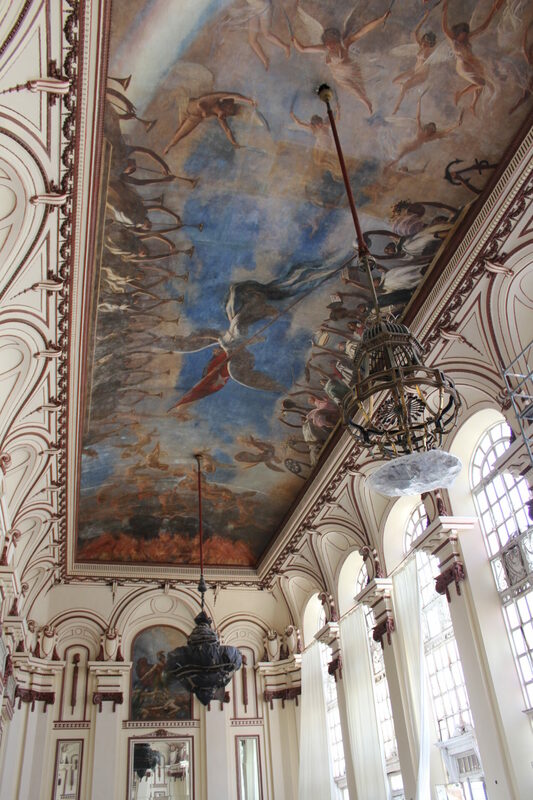 And it turned out to be quite boring – just room after room of text in Spanish with some artifacts from the revolution, and propaganda about how great the communist regime was and all the public services it enacted for its citizens. 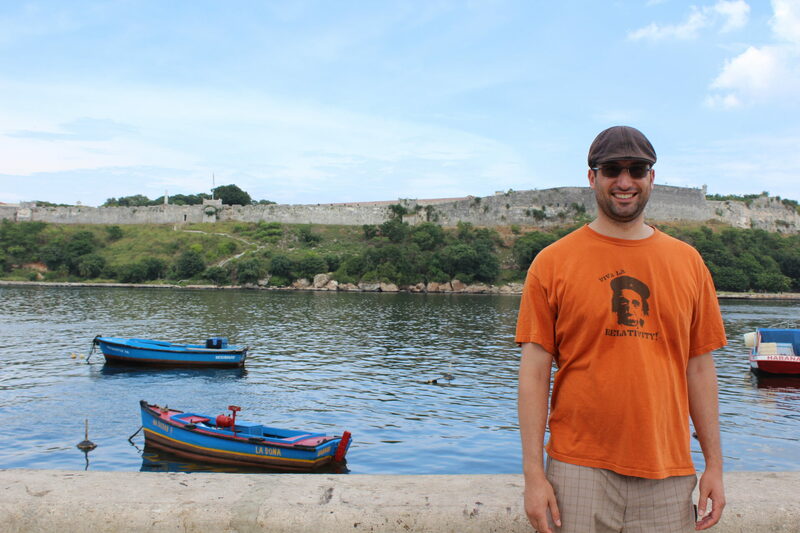 For example, we learned that (says Cuba), 96% of the country was literate, and that electricity was being delivered to about the same percentage. There were displays on healthcare (including a ghoulish maternity delivery “camp” where women were sent for the duration of a pregnancy to receive healthcare and probably re-education too), education, electricity delivery, and more. Of course there was the requisite floor that discussed the events leading up to and during the revolution, which did have English translations (we noticed that everything related to the Revolution had translations, but most other things did not…which led us to believe it was the Revolution the Cuban government especially wanted to highlight to foreigners). 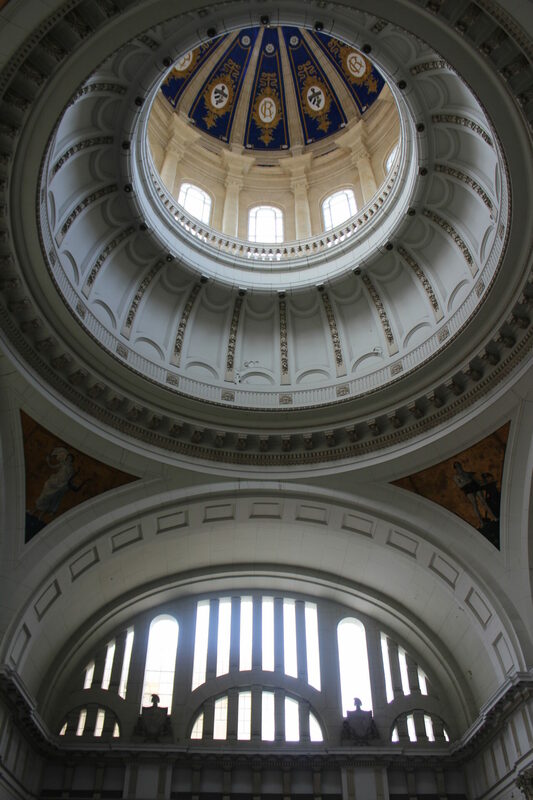 Many of the displays were disintegrating, and half of each floor was left empty without exhibits, so in general it wasn’t a very good use of the space in the palace, nor was it a particularly well done museum. 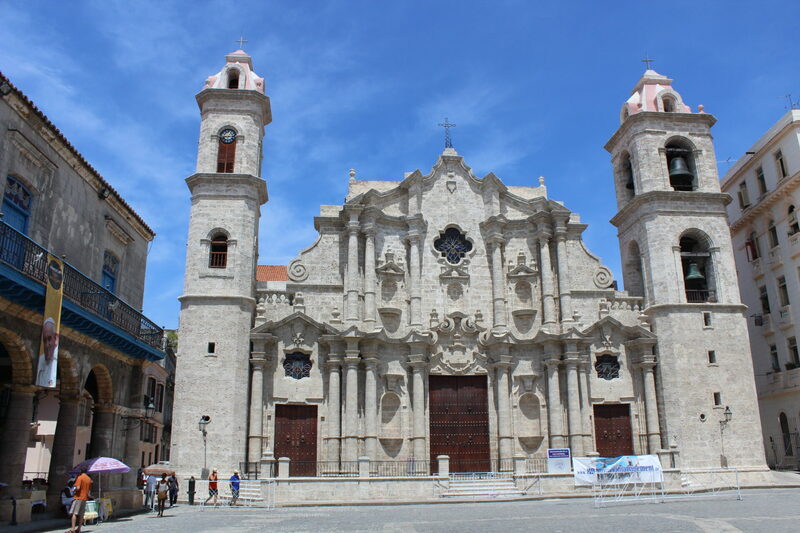 That said, it was fascinating to read about the Cuban perspective on the Revolution and the regime, which was written in much the same manner as the Playa Giròn exhibit. 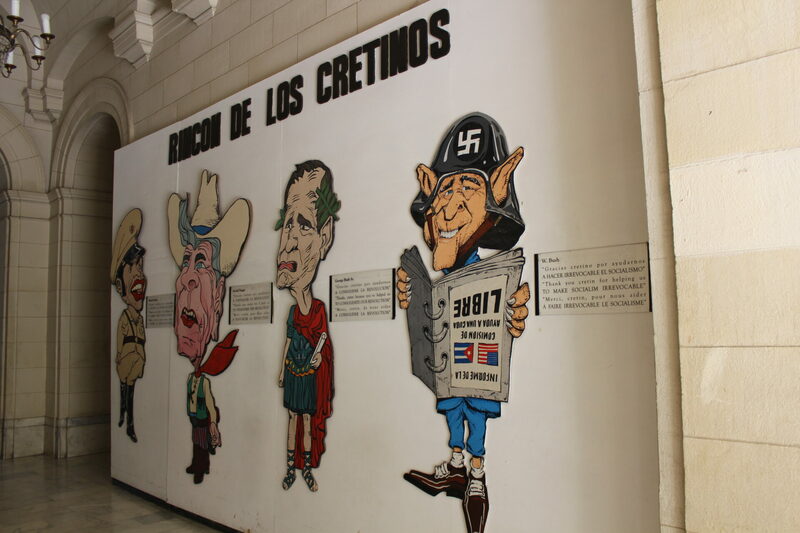 Our favorite part of the museum was the wall of the cretins – which was a lambast of well-known American politicians. 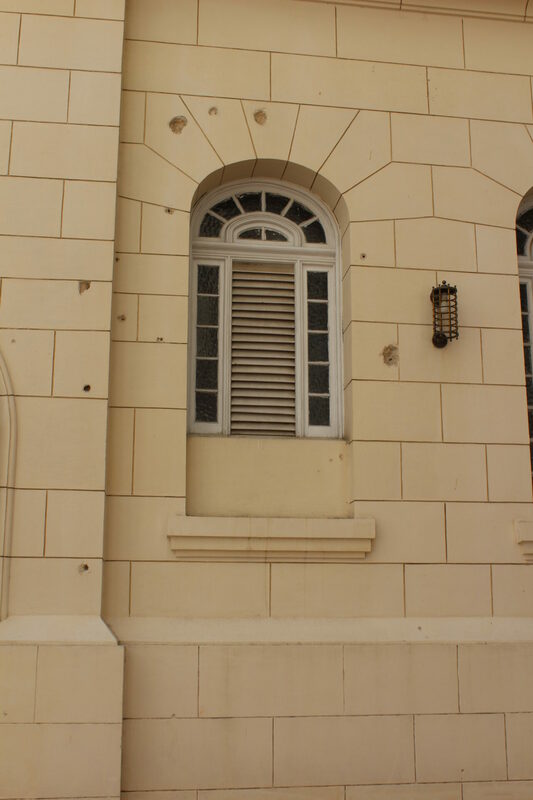 We also enjoyed the bullet holes riddling the courtyard in the middle of the palace, but were disappointed at the lack of explanation, commentary, or memorialization. Our recommendation: you can do this in 90 minutes, and start from the 4th floor and work down. We did it backwards accidentally. Also don’t skip the balcony on the 4th floor that leads to some nice views of the city, as well as the original Spanish palatial architecture and some old furniture.